In September 2017, we conducted Australia's first nationally representative survey focused on young Australians' news engagement practices. Our survey of 1,000 young Australians aged eight to 16 indicated that while roughly one third felt they could distinguish fake news from real news, one third felt they could not make this distinction. The other third were uncertain about their ability. In part, we were motivated by the gravity of recent academic and public claims about the impact of the spread of "fake news" via social media – although we are well aware of arguments about the credibility and accuracy of the term "fake news". In our study, we classified fake news as news that is deliberately misleading. Age plays a role here. As children get older, they feel more confident about telling fake news from real news. 42% of Australian teens aged 13-16 reported being able to tell fake news from real news, compared with 27% of children aged 8-12. We found young Australians are not inclined to verify the accuracy of news they encounter online. 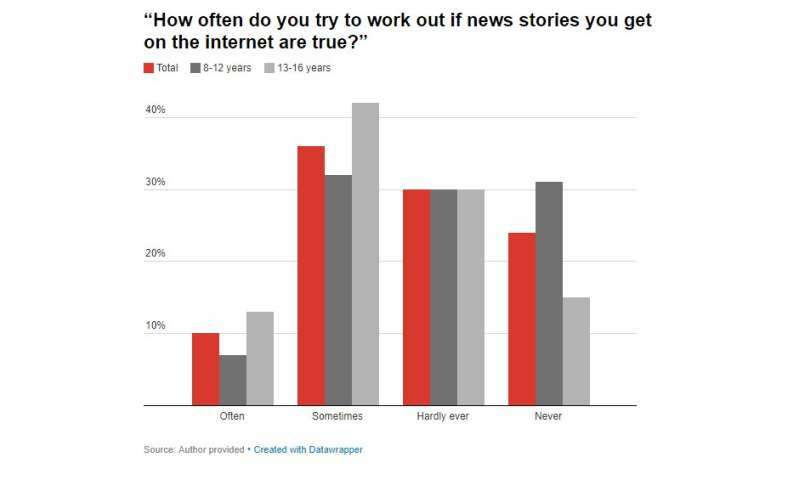 Only 10% said they often tried to work out whether a story presented on the internet is true. A significant number indicated they sometimes tried to verify the truthfulness of news (36%). More than half indicated they either hardly ever tried (30%) or never tried to do this (24%). We also asked young Australians how much attention they pay to thinking about the origin of news stories, particularly those they access online. More than half indicated they paid at least some attention or a lot of attention to the source of news stories (54%). However, 32% said they paid very little attention and 14% said they paid no attention at all. To us, the circulation of fake news on social media is troubling, given what we know about how social media platforms create news filter bubbles that reinforce existing worldviews and interests. Even more concerning, though, is the way many social media platforms allow people with vested interests to push content into feeds after paying to target people based on their age, location or gender, as well as their status changes, search histories and the content they have liked or shared. There is often no transparency about why people are seeing particular content on their social media feeds or who is financing this content. Furthermore, much online content is made by algorithms and "bots" (automated accounts, rather than real people) that respond to trends in posts and searches in order to deliver more personalised and targeted content and advertising. 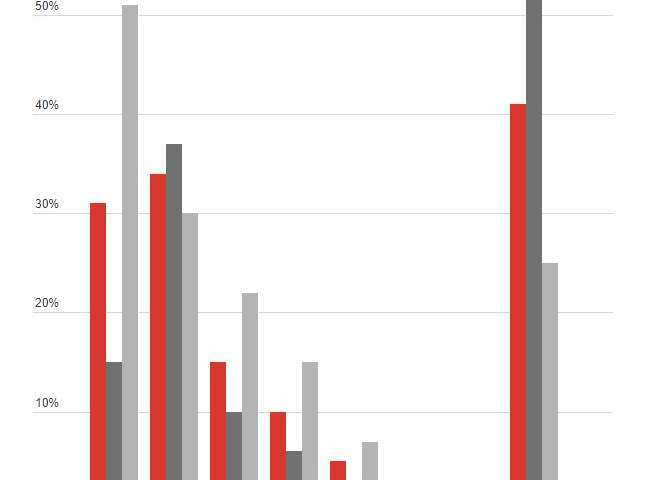 Where are young Australians getting their news? Given these concerns, we used our survey to ask just how much news young Australians get through social media. With all the hype around young people's mobile and internet use, it might come as a surprise that social media did not emerge as their top news source and nor is it their most preferred. 80% of young Australians said they had consumed news from at least one source in the day before the survey was conducted. Their most frequent source was family members (42%), followed by television (39%), teachers (23%), friends (22%), social media (22%), and radio (17%). Print newspapers trailed a distant last (7%). However, this is not to diminish the significance of young people's use of social media to consume news. Two-thirds of teens said they often or sometimes accessed news on social media (66%) and more than one third of children stated they did so (33%). For teens, Facebook was by far the most popular social media site for getting news with over half (51%) using it for this purpose. 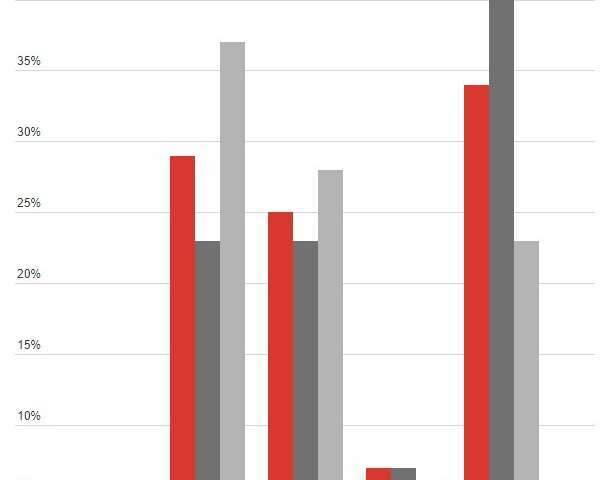 For children, YouTube was by far the social media platform used most for news. 37% got news from this site. There is no doubt that legal and regulatory changes are needed to address the issue of fake news online. However, education must also play a critical role. Media education opportunities should be more frequently available in schools to ensure young Australians meaningfully engage with news media. 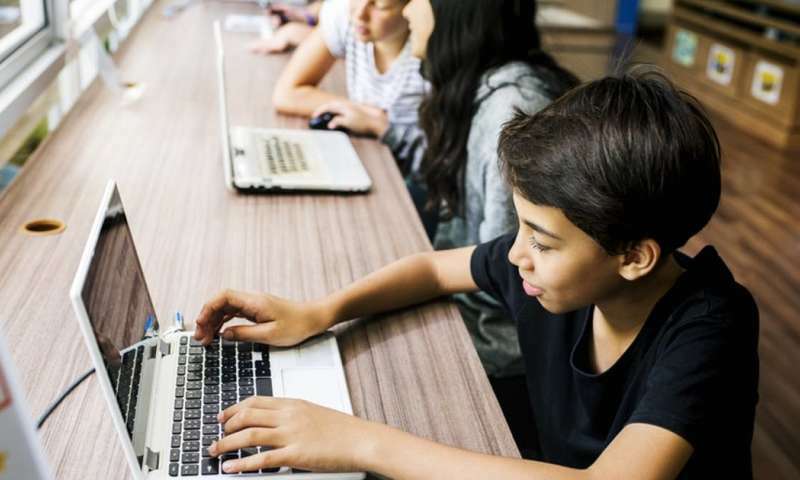 Media Arts in the Australian Curriculum is one of the world's only official systematic media literacy policies for children in preschool to year 10, but it is being under-used. Our survey suggests only one in five young Australians received lessons in the past year to help them critically analyse news, and only one third had made their own news stories at school. The curriculum also needs to ensure young people understand the politics, biases and commercial imperatives embedded in technologies, platforms and digital media. Our survey shows that young people are consuming lots of news online. However, many are not critiquing this news or they don't know how to. The implications of this are not necessarily self-evident or immediate, but they may be very wide reaching by influencing young people's capacity to participate in society as well-informed citizens.